With XiVO it is possible to park calls, the same way you may park your car in a car parking. 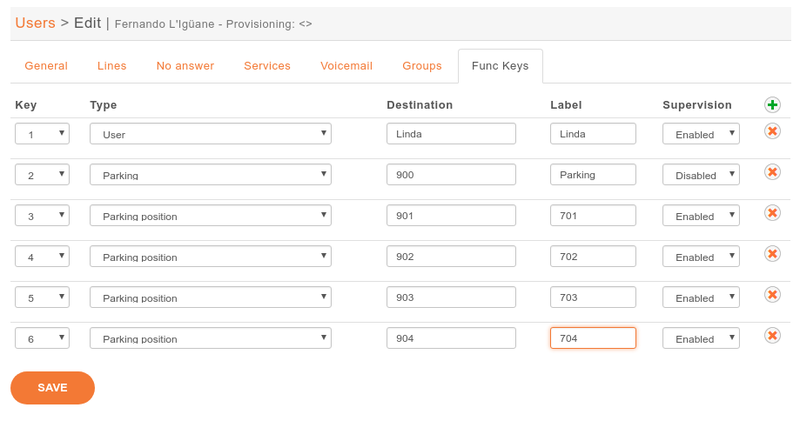 If you define supervised keys on a phone set for all the users of a system, when a call is parked, all the users are able to see that some one is waiting for an answer, push the phone key and get the call back to the phone. 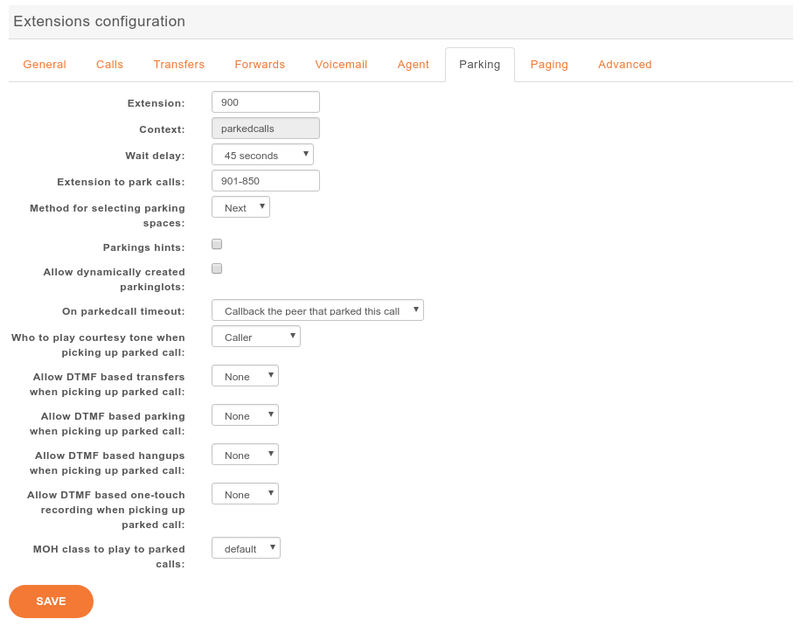 Using this extension, you may define the parking number used to park call, the parking lots, wether the sytem is rotating over the parking lots to park the calls, enable parking hint if you want to be able to supervise the parking using phone keys and other system default parameters. In this case the call is sent back to the user who parked the call. In case you don’t want to call back the user who parked the call, you have the option to send the call to any other extension or application. If the parking times out, the call is sent back to the dialplan in context [parkedcallstimeout]. You can define this context in a dialplan configuration file Service ‣ IPBX ‣ Configuration Files where you may define this context with dialplan commands. 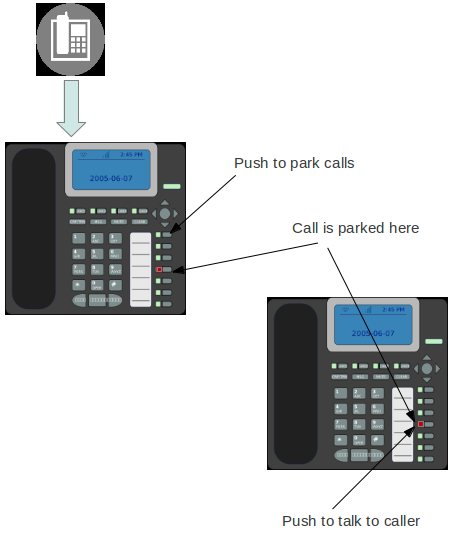 It is also usual to define supervised phone keys to be able to park and unpark calls as in the example below.